Very often in autumn we want to eat fresh tomatoes and cucumbers, make a salad or add them into the dish, but usually in the shops we can find big but absolutely tasteless vegetables. This happens because most of the vegetables are seasonal plants and in winter they are either very expensive or completely tasteless, because at this time of the year the ground is not ready for the cultivation of various crops and there is no sun which would give the vegetables the power to grow. We do not want to eat these vegetables but our organism needs vitamins anyway. Nowadays everything organic is highly valuable, without any additives, growth promoters and poisons from insects, so creating your own greenhouses is getting more and more important. Today creating of a greenhouse requires certain materials and tools for the convenient cultivation, but it also involves the installation of efficient and economical heating system, because the heat is the main growth stimulator. In order to heat the uninhabited premise, it is first necessary to consider what it is going to be used for, the dimensions of it, whether the local heating is possible and some other moments. 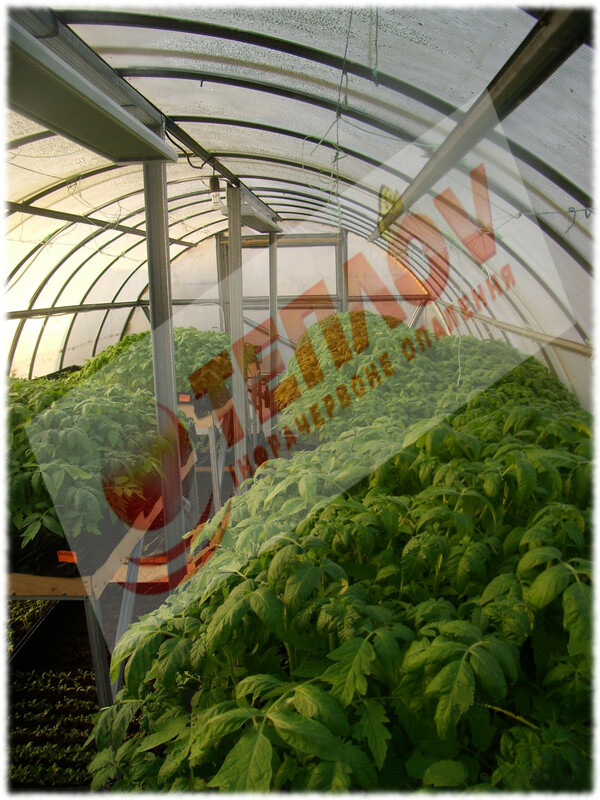 Greenhouse is a special construction that is not like any other usual or industrial premise, since it is very often used seasonally and has a specific purpose—the cultivation of the plants to get the harvest (mostly vegetables, berries) or greenery. 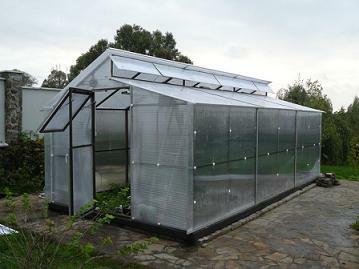 Of course, heating of the greenhouses is usually carried out by the owners. They, trying to minimize the expenses, prefer choosing the systems that are the most economical and suitable for them and try to carry out the installation by themselves, in order to save some money on the installation of the heating system. And really, you can build the greenhouse absolutely by yourself. The most popular material—polycarbonate— can be easily mounted on the carcass and is the strongest and the most durable material for greenhouses, which saves up the heat perfectly. 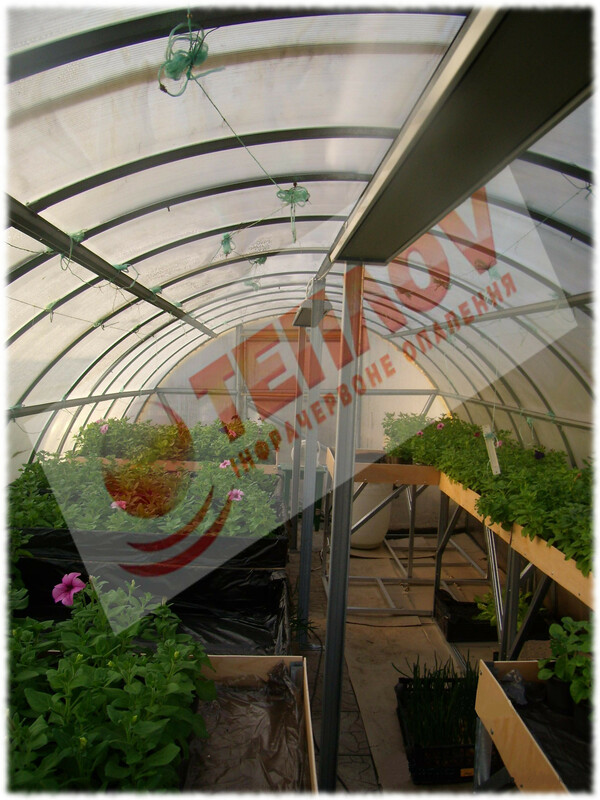 As for the heating of the greenhouse by yourself, then the infrared heating is the best option for you. This heating method is not new and has been used in both large and small farms and for heating the apartments, private houses and industrial premises for a long time. Its popularity proves once again that it is suitable for fast and qualitative heating of the room without any financial and physical discomfort. Developers of the infrared heaters managed to organically combine effectiveness with efficiency, and to improve the coefficient of efficiency up to 98% from the consumed energy, which leads to minimizing the expenses on electricity without any damage. 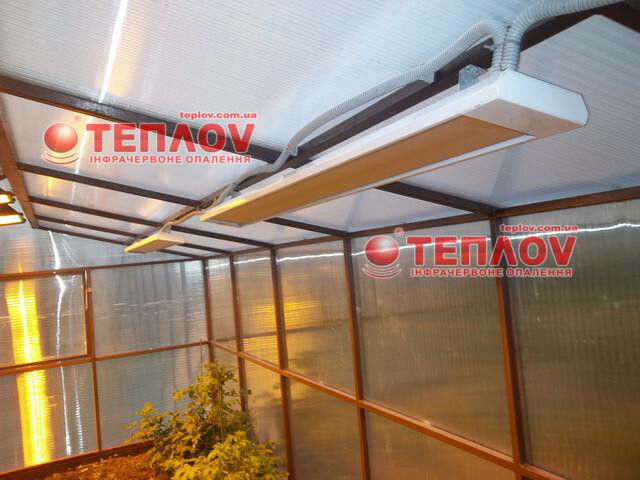 Heating of the greenhouses by yourself with the long-wave infrared heaters will let you not only to warm the air in the greenhouse but also the objects in it, such as shelves, pots, and also the soil, walls and the plants. In addition to this advantage, the infrared radiation has beneficial effects on the molecular composition of the grown products because the heat emitted from the heater is very close to the natural, it does not dry the air and the principle of work does not provide any discomfort such as waste of the materials, drafts or noise. 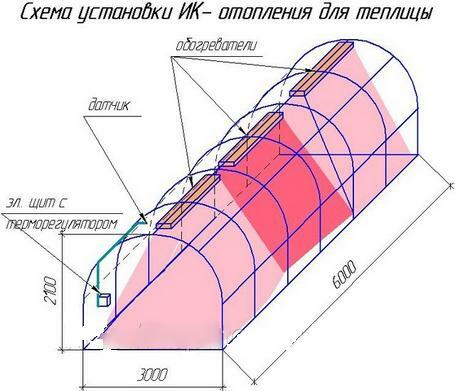 That is why the best option is heating greenhouses by yourself with the help of infrared heaters, which can be easily fixed on the ceiling of the greenhouse, which allows making your greenhouse absolutely suitable for the cultivation of perennial crops at any time of the year without any additional help.